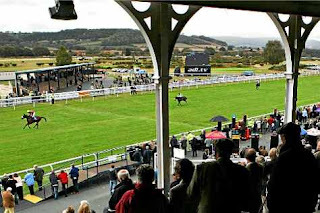 It’s not often a midweek maiden hurdle attracts our attention, but the Bitterley Point to Point 1st April Maiden Hurdle (2.00) at Ludlow on Wednesday has attracted 16 runners, many of whom have the potential to be significantly better than they have shown so far. With the leading bookmakers offering 9/1 bar the first four in the betting, we couldn’t resist a dabble at long odds. The first one that takes our eye is Calling Des Blins (20/1), one of two runners trained by Dan Skelton. The daughter of Konig Turf, who has produced some useful from his first crop of 5-year-olds in 2017, showed signs of ability on both starts in bumpers for Harry Fry last season, but finished only eighth of nine, beaten 27 lengths, in an ordinary novice hurdle at Taunton in January on her debut for her new yard. A winner in France on her sole start as a 3-year-old, she is surely better than her rather dismal debut over hurdles and could go well at a decent price. Our Delboy (33/1) has been well beaten on both starts so far, including in a similar race over course and distance four weeks ago and may simply need more time. However, he comes from an excellent family, and from a yard in excellent form, so it wouldn’t be a complete surprise if he was to reward patient handling with an improved performance on just his second start over obstacles. 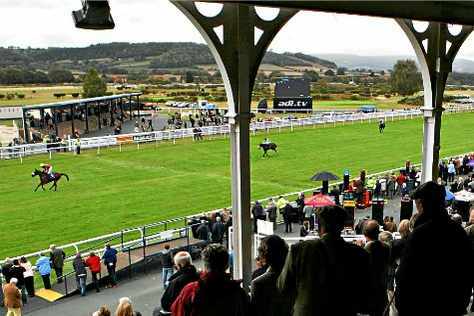 Johanos (16/1) was placed on both starts in bumpers and far from disgraced when fifth of 10, beaten 17½ lengths, behind Air Force One at Taunton last month on his hurdling debut. The winner franked the form in no uncertain terms when winning the Les Ambassadeurs Casino Handicap Hurdle at Ascot last Saturday, off a handicap mark of 138 so, with trainer Nigel Hawke among the winners in the last week or so, Johanos looks one to take very seriously indeed. The Grimscote Handicap Hurdle (4.25) at Towcester on Thursday may not be as competitive as some of the weekend handicaps that constitute the ‘bread and butter’ of this column, but is nonetheless a lowly Class 5 affair, in which recent winning form is in short supply. 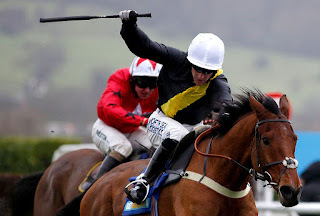 Furthermore, although 2 miles 3 furlongs and 34 yards is hardly a marathon distance, the race is due to be run on a testing course on bottomless ground and could still develop into a war of attrition, which few survive. With this in mind, we’ve tried to find one or two with stamina in abundance, who should be staying on when the others have cried enough. 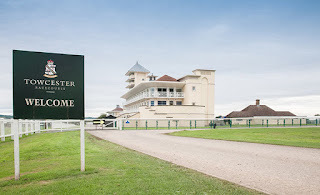 Thatchers Gold, for example, has troubled the judge just once in seven starts since winning a better race on soft going at Uttoxeter over two years ago, but at least we know he’s capable of winning a race and handling testing conditions, which is not something we can say for many of his rivals. His recent form is nothing special, but he drops into 0-100 company off a handicap mark 3lb lower than when last winning, so must merit consideration. Frankly, most of these are poor or deteriorating, or both, but something has to win, so let’s row in with the lightly-raced six-year-old Scartare, who’s been well beaten at fancy prices on all six starts so far, but showed a glimmer of ability on his last outing, over 1 mile 7½ furlongs on this course seven weeks ago and may be capable of better on his handicap debut. His stamina needs to be taken on trust, as does his ability to handle heavy going, but a forward showing would hardly be huge surprise in a race ripe for a turn-up.